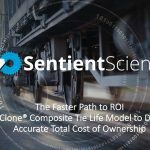 Sentient Science provides Prognostics Health Management using the Industrial Internet and will show practical examples of driving down O&M costs by moving from Planned Preventative Maintenance (PPM) to Predictive Health Maintenance (PHM) for distributed assets. This presentation will outline mission of the Industrial Internet Consortium (IIC), and the practical benefits of integrating your distributed assets with prognostics, predictive models for life extension. Ed: As Sentient is getting bigger and we have more partners, it’s a pleasure to have those partners join us on this webinar series. Lynne is the program director at the Industrial Internet Consortium. We’re going to share some of the the discussions today, together.As an overview, again, we’re being affected by the industrial internet growth, which is remarkable. Those of you who this is new to, we thought we’d just take a couple of slides and introduce you to what’s really was going on in the industrial internet space. Then, I’ll cover Sentient on the industrial internet. There are things that we’re doing that’s causing our rapid growth in this space. I’ll cover those slides. Then, I’m going to turn it over to Stephen Steen who heads up our Industrial Internet Services, to talk specifically, a specific use case in the wind space from moving from a plant preventative maintenance to a predictive health maintenance. We’ll talk about the outcome of that. Then we’ll wrap up with some questions and some summaries. So we’re about 45 minutes. I hope you enjoy and send us some questions. This is a real pleasure for us to do. As Natalie said, our first webinars each quarter are deep dives on technology. The second one are applications in the market. And the third, each quarter is to talk about really what’s going on in the industrial internet, how it’s affecting us, and how it’s affecting you guys, what we’re hearing in the marketplace.So this is a little new for all of us. So I hope you’ll enjoy the webinar today, and send us your questions and we’ll continue the conversation. So I’m going to switch the slides back over to Lynne, and have her begin and introduce what we’re doing with the Industrial Internet Consortium.Lynne: And thank you, Ed. Hi, everyone. I’m delighted to be here today, and I am just taking control over this. Ed, I think you still have control here. There we go. Anyways, I wanted to start off by just a quick definition of what is the industrial internet. So this is often referred to as the industrial internet of things. I’m sure everyone on this call has heard about what IOT is. What I’m going to talk about today is business IOT, so how it applies and it’s utilized in the industrial space or the business space of IOT. So this is not your fitbit that we’re talking about. This is not the gadgets that have your refrigerator calling the grocery store and saying, “We’re out of eggs.” We are talking about the applications for industrial purposes. I wanted to just start with a quick definition of what the industrial internet is, as is defined by the Industrial Internet Consortium. We defined it as “an internet of things, machines, computers, and people that enable intelligent industrial operations using advanced data analytics that ultimately results in transformational business outcomes.” Again, this is not your IOT that runs your consumer applications and everything else. This is absolutely in the business sense, and it absolutely is about transformational outcome. So moving on to the next slide.What we’re talking about, when we talk about the industrial internet, and how it’s leading the next economic revolution. About 100 years ago, there was this industrial Revolution, and it really started to crystallize and bring machines into factories. So there really was this transformational shift in terms of how industry came about. And then, many years later in the early 1980s, 1990s, the internet started to really transform things. When you think about how the internet transformed physically business transactions and communications, there were a lot more efficiencies. There was definite economic growth, as you can see by this chart. It really did transform, but it didn’t take it all the way. This last piece, which is the industrial internet, is really the marrying of the industrial with that internet connectivity. We really do think it’s going to transform growth. Actually, depending on who you’re listening to, it’s absolutely in the billions and in the trillions of economic growth potential in the years ahead. GE estimates it’s a $32 trillion opportunity. There’s a lot, actually, if we go to the next slide. We can look at what the impact is on the industrial internet across different sectors. Again, these are some slides that are courtesy of General Electric, who did some research on this. They said that just by transforming 1%, by saving 1% percent, or getting 1% more efficient across all these different industries, this is what the savings could be. If you take a look at the power, for example, just a 1% fuel savings in gas fired generating equipment, that leads to a $66 billion opportunity. And of course, if you actually look at what the industrial internet can do and the opportunities for the industrial internet to really transform things, we think that 1% is very conservative, again, if you translate these savings. These are real. And the other message we want to make sure everyone understand is, this is starting to happen now. So when we talk about the industrial internet, it’s not that the train’s in the station and ready to leave. The train has left the station. Granted, we are not at the fast track. We’re not on the fast-track quite yet, but there’s a lot of really brilliant work that has been done by companies like Sentient Science to really enable and transform different verticals. I’m going into a little bit of that in the next slide. When you think about the ability or what’s been happening in the industrial internet to date, there have been a lot of a one-off types of efforts. Again, vertical market applications, there have been trough healthcare. There’s been some things happening certainly in the factory and so forth. But there’s been a lot of one-off types of alliances and one-off partnerships that really has not been able to drive all that economy as much as it could. So you’ve got big data companies that are a slice of things and they’re working with some researchers. They’re working with some system integrators, security companies, and so forth. So there’s a lot of one-off types of partnerships. Solving problems, but not on the wide scale basis. If you think about the industrial internet, what is necessary for that growth, is really to try to consolidate and form an ecosystem that’s all moving together to form that. If we go to the next slide, that is where we think of the Industrial Internet Consortium, which is the organization that I’m affiliated with. Again, you’ve got these different companies, these different groups of organizations, but instead of doing these one-off slicing a little part of the problem, they’re all coming together now to solve and enable the industrial internet in ways that were not previously possible. If you go to the next slide, when we talk about the Industrial Internet Consortium, what our mission is. We were formed by five organizations one year ago – we’re coming up on our one-year anniversary – AT&T, Cisco, GE, IBM, and Intel. We were founded on the recognition by those organizations that working separately, every company can help to make it happen but it’s going to take place in a much slower basis and probably will never really solve the problem. But by forming a public-private partnership throughout the world, really, that companies can come and solve the problems that are necessary to enable the industrial internet. Interoperability is a huge problem, security, data privacy, and also to enable innovation as well. The mission for the Industrial Internet Consortium is really to accelerate growth into the industrial internet by coordinating the different ecosystem initiative. People are an important part of that, the processes, the data, and so forth. So ultimately, we really want to transform the business outcomes. Again, we’re all in and out. Companies are in this. There’s some public good that’s going to come off this as well, but it’s also a huge economic growth engine through the transformational efficiencies, the effectiveness, the new products, and processes that are to come from this industrial internet. Next slide is – when we talk about it, again, industrial internet – we have several objectives. At the bottom of this chart, really are the focus areas of what we offer. One is this broad ecosystem. Again, these companies. We have 144 member companies for 20 countries, and they’re growing. Basically, we’re teaming together to really to get that wealth of knowledge to focus on solving some tough problems. We have technology, security committees, and teams that are working on. They actually are just publishing internally to our membership the architectural framework for the industrial internet. That will become a public document in a few months, that we hope everybody will utilize. Again, it’s the building block for the technologies for the industrial internet. That’s the work that our committees are doing right now. Then we have test beds and that’s that innovation that is to come. Again, there’s a lot of different focus areas, but we do bring them together. When we talk about the work that our groups do, you’ve got the best and the brightest from a lot of huge organizations and small innovative ones like Sentient Science, who are teaming together to solve these tough problems of, what is the industrial internet? How do you scale it? How do you make it interoperable? What is it going to look like in the future? So driving innovation is huge, interoperability, security, and so forth. We also facilitate open forums to share lessons and so forth. We have quarterly meetings. Our next one is in two weeks, where we have our members coming together to solve problems, but also to do some brainstorming and some networking to identify what these problems need to be, what the future problems are, and how we’re going to tackle those. I just wanted to close on the commentary by just saying, again, we have 144 members. This is who they are. 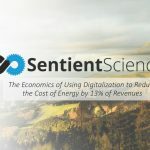 Sentient joined us last June, and they were the first company that was wholly focused on energy. We were really delighted to have them in there. They are co-chairing our energy group, which is focused on the industrial internet and how it applies to energy. Really delighted to be partnering with them, and having them as part of the Industrial Internet Consortium, and also to help solve and address the challenges that are unique to this vertical. With that, I wanted to turn it over back to Ed. Ed: Lynne, thank you so much. We are honored to be part of the group. One year, 144 members, it says something about the uptake and the interest in the community of what’s going on. Let me transition now, and talk a little bit about Sentient Science, our role in the industrial internet and why it’s powering our company right now. Those of you who know us, know we have a stool of three legs. We were funded in the order of $25 million, and competitively one SBIR contracts through the government and some industrial partners to develop prognostic technology, specifically model based, multi-physics based prognostic computational technology services. We decided as a company to focus that work, that technology work, on life extension solutions, our products is called, “DigitalClone.” They are specifically to define the remaining useful life of systems and components, and extend that life. The third, is really to be providing those models tied to assets in the field over the industrial internet to offer the next generation of prognostic health management solutions in O&M. We’ve been doing this now over, I would say about 13 years of developing this technology and validating it in the markets. We’re not new. We have been working on Rotorcraft Systems, Automotive Mining Systems, Wind Turbine Systems for a number of years, so that when we brought our DigitalClone Prognostic models to the market, we knew they would validate it. We could stand the tests that new companies would put us through. So it’s been a very exciting road to get here. Our technology, in a nutshell, allows us to figure out at the materials level when cracks start to nucleate, initiate, and grow. If you knew that information in rotating machinery, you could communicate back to your customer that things are changing inside of the machinery, and maybe you want to operate them differently. There’s a period of time where the cracks get so long, they’re in operational failure. We’re aware of the things that could go on at the end of life in the last couple of months of these systems. But if you had the information years early about the health of your assets, you’d be able to do things with that information, like, extend life. So imagine now that I can tell you when a machine comes into the market, how long it will live under it’s operating conditions, and how to extend its life. This is really what we’ve been doing over the last 13 years. Practically, when you talk about the industrial internet, we apply our knowledge in these four steps. If you have a gearbox, for example, or of a piece of equipment in the field, the first thing we do is predict the performance and health of that asset, the components in that asset, and we can do that over a series of years to give you a prediction of life. Second is, then we look at the data coming off of that asset, the operational data, the hums in the aerospace or SCADA [SP] data in wind space. We begin to tailor the service for each individual asset, so that we know what the remaining use of life is on an asset-by-asset basis. Third, we know that there are things that go on in the field, and we’re constantly checking that information to confirm the accuracy of our predictions. If something should happen that would invalidate our predictions, we need to alert our customers. And then forth, control or optimize the life and strategy of that asset. What are the options that we can give to our customers to extend a life? So predict, acquire, confirm, control; this is how we do what we do with DigitalClone. Now, in a practical sense, that is competing against the old way that people did life models. In the top right, you see the serial process that customers use prior to Sentient coming to the market. Those of you who build this kinds of models, know that this is a very expensive serial process if you go through from acquiring loading information and going to your testing procedures all the way through these nine steps. The cost of that, according to our customers, is significant in the order of three and a half million dollars capex kind of cost. In this Sentient world, where we are making predictions based on the material sciences, we do it completely differently, as you can imagine. Our ability to create these models now takes us a couple of weeks – no capex cost – and we have gotten the cost and the time down where it’s significant generational change. And then of course, attaching it to the assets in the field costs us nothing, $100 in compute time. From a traditional second generation lifing [SP] model to a Sentient lifing model, we’re showing the market that there is quite a bit of difference, financially as well as operationally. Let me just stop for second and tell you what we hear from our customers when we go out in the market and introduce what we’re doing to them. And now, let me break it down into owners and operators, and the OEMs that are in the market. The owner operators of industrial equipment, they are trying to assess the financial risk, and the liabilities they have with their assets, especially when those assets come off warranty. One of the biggest questions we hear from them is, “How long will it really take me to get usable information regarding my fleet and individual assets?” This comes up all the time, “How long will my assets produce incremental value? Will my O&M cost, my operations and maintenance costs, outweigh my financial pro forma?” Those of you who know what’s going in the wind space, know that these wind turbines were scheduled to last for 20 years and failing in five to eight years so that the financial markets have to reinvest in these wind farms. How can I improve my budgeting over two to five years? So these are the kind of questions that we hear when we talk to our customers. So I just want to stop the train for a second and now ask you guys: what are the things that are important to you? And we do this so you can get some feedback from the other people in the audience, and then we’ll put up the answers on the screen. Just take 30 seconds and tell me what you think. If you’re an owner operator, or if you think like an owner operator, what are you most concerned about? And Natalie, you can put up the answers when you’re ready. All right. So 50% of the people listening said, “How long to get usable information?” This is what we hear a lot. Even if you have a new solution, whatever that solution is, customers are looking for that information quickly. Hopefully, this make sense. Sixty three percent said, “Will my operating cost outweigh my financial pro forma?” Another big one. That’s a little scary. Okay. Can we go back to the slides, please? Thank you so much. Those are the owner operators. Let’s take a look at the questions that we hear now from the O&Ms; in the market, and what they say to us. All right. So they are asking questions like this. They’re trying to assess the financial risk of their assets they put out in the market, the customers, and their warranties. “How soon can I find out what my real risk is for assets under warranty?” Again, that timing question. “What’s the right balance that I need to give my customer between reconfiguring what they already have versus replacing with new generation equipment that I have?” “What’s my down side of not providing competitive services, and how do I budget to service customers today and into the future?” These are the kind of questions that we’re hearing. Natalie, can we put up the pole for that too? Sorry for the ad honk music. And put up the results when you have them in, please. So 50%: “What is the balance between reconfiguring versus replacing 33%? How soon can I access my risks?” So that’s about what we’re hearing in the market as well. Thank you all. So we want you to be part of these webinars and to provide information back to each other. Next slide, please. Thank you. So I want to transition back to us again. All right. So we deal in a world of distributed assets and some of our customers have a lot of assets around the country, around the globe. Our job is to help them asses what the remaining useful life of those assets are. And so an asset enters service at point A, and sometime in its life, crack starts to initiate, and we try to figure out when that happens. Of course, you know, if you’re in the business, that at some point in D, we start to see operational failure of the asset and we got to make change in this, big costs involved. Sentient’s claim to fame is at point C. There’s a point which we can confidently predict the remaining useful life with our prognostics. We try to push point C back to B, and further back to A, so that we can give our customers an assessment of the health of their fleet. Not just the units that are in operational failure – which is obviously interesting to the operational guys in these companies. They’ve got to bring cranes in – but also, to the asset managers who are looking to extend the life of these units and try to make more money overtime. This is what we’re doing as a company, extending the remaining useful life, using prognostics. If you look at the kind of questions we were asked as a company, we’re always asked to give the “as-is” failure profile. What does my fleet currently look like? And because of who we are, we can then start to move levers to extend life. That may be levers like, “What would be the impact of lubrication changes, or up-tower component replacement, or re-manufacturing?” So a number of levers that can be applied to our simulators to try to get to an optimized condition and reduction to the percentage of failures. So this is what we do as a company, because our customers don’t want to know when they’re going to die. They want to know how to extend life and get onto that green curve. Let me see if I can operate these slides. So I’m going to do a deep dive just for a second because we’re not just talking about the system level and the fleet level, we’re down at the component levels within these operating systems. This is a chart some of you have seen before, of a performance comparison of bearings inside gearbox. On the left hand side, is three different bearings from three different OEMs. The blue line is the average fleet. The customer is concerned because it’s a series of their assets failing in the field, and they wanted to know what was going on. We could show them here, based on the different built of materials, the different bearings that were in those systems, delivered in those systems, they were performing differently. Again, that’s the “as-is” state of the fleet and this is the first time seeing it in the market, where you can look at and compare the various internal components within these systems, see how they’re performing, and make a judgement call about which one is best and which one you want to use. On the right hand side, is really what the customer wants to know, based on the levers that they can throw, how can they flatten those curves out, and get more life out of the bearings. 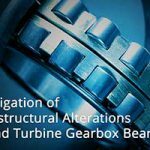 If you think about real mechanical systems, you have a bearing failure which leads to a gear failure, which leads to a gearbox failure, the bearings are critical. So if they can extend the life of some of those bearings – as you can see, we’ve flattened out the lines – it’s quite important to them. So I just want to summarize and I didn’t mean to take so much time. We’ll get back to the details. We’re seeing three things in the market space that are impacting Sentient right now. Again, if you’d like to continue the discussion with me, reach me. The first is that prognostics is cutting the cost of big data out of a need to maintain assets. Diagnostics, as you know, requires you to collect the information, put it in data stores, run analytics. You got to do it for two years. Most of you who are in the market with that know the outcome of that, and the cost of that. Prognostics is completely different where in three months, we create the remaining useful life profiles. This is a different game now in terms of cost. Second, is there is a time to value equation that is completely changed. If you can provide lifing predictions within three months, you really change how customers can use technology to their advantage. Very importantly, a new customer acquisition for the OEMs in the market who want to try out new bearings, new lubrications, new methods inside their customers, they don’t have to go into two years of field testing. They can take those components, they can put it into these lifing models, simulate them, find out if in fact they do extend life. So there’s a change in the types of value equation. The third, which is something for another day – a bigger discussion – is we’re watching this dynamic in the aftermarket between the operators and the OEMs. Who will dominate the aftermarket? Clearly, the owners. They want to reconfigure their equipment to extend life. The OEMs, they want to redesign and provide the newest capabilities to their customers. There’s a balance and a fight going on. You guys are probably aware of that. But for the first time, the owners have the ability to have the lifing data in DigitalClone, which is new to them, which is exciting. It allows them to play these “what if” simulations, so that they can try different vendors and different solutions. This creates more competition in the market. This battle for the aftermarket is in play. I just want to end in transition about one note about the industrial internet. It’s big. It’s really big. If you’re not watching this, you should be. If you read the Daniel Yergin’s book, chapter 31 on the fifth fuel, he thinks – and we do too – that the optimization of the existing infrastructure of equipment in the country is as big and will have as big of an impact as the other fuels that our country now has. If you monetize that across the different markets that we’re looking at, you’ll realize that the industrial internet wave will dwarf the consumer internet wave. Those of us who are watching this closely, see it as a really good business opportunity for all of us. That’s our point of view. I’d suggest reading the book. If you guys would like to discuss that at any time. So I’m going to transition now to talk about and do a deep dive on the move from PPM to PHM. Stephen Steen, who heads up our industrial Internet services, will take over, and really show what Sentient is doing in a practical way, using wind as an example. So Stephen, I’m going to turn it over to you and hopefully you’ll be in control of the slides. Stephen: Great. Thanks, Ed. So we thought it would be a good idea to maybe give a little more in-depth discussion on one of our first major areas that we’ve used our services in the industrial internet. One of those happens to be wind. Wind really brought us into themselves by requesting us to help out with what ends up being a very large problem in terms of their gearbox failures, and some other major components. They also had been doing something very similar to us, now called the industrial internet, for a while. They’ve had very large remote industrial machines connected to the internet via a SCADA system. In that case, they had the infrastructure in place and the mentality to really be early adopters for the industrial internet. Again, talking about the big business problem, when these original assets were setup in terms of the different wind farms, wind sites around the U.S., they were put together with a certain budget amount of moneys for plan failures. That was really around this plan preventive maintenance: “We think things are going to fail around this time. Therefore, replace them in some sort of schedule.” What’s actually happened is these failure rates are definitely much, much larger than what they had been in the past. As you can see from the one example here, you went from a budgeted potential of 14% IR, to something much lower in your 12-5. In some cases it’s even worse of an impact, depending on how the site is actually performing. They’re really seeing a much drastic difference in what they expected to happen, and the financial benefits of putting in those wind farms versus what they’re actually seeing today. Just kind of an overview of how they started that off versus how we can use prognostics. The original own and plan for the earlier performance is really around this planned preventative maintenance idea. It would be very similar to every 3,000 or 5,000 miles, you would change the oil in your car. You’d stay on that schedule to make sure the you always had a certain cleanliness of an oil and everything was in proper working order. In general, that works pretty well in terms of keeping things in proper operation, but it is very expensive. One of the issues that’s crept up within the industry because of the earlier than expected failure rates, is they can plan for it. Because this way approach to O&M, you can’t really predict what your future risk is. Then, you also can’t use that same technology or plan to even identify what the solutions are to reduce that. To really address this problem, one of the first ways that the industry took a look at addressing this issue was what we called “condition based maintenance.” Instead of making changes every 3,000, 5,000 miles, you would make those changes based off of what the condition is of those, by applying sensors and taking samples, data here and there, to then really understand what is the risk of failure in the short term. That had led to definitely cost reduction, and improvement of reliability. Through this, that first attempt to control those cost, there was definitely some benefits. But one of the side impacts of that, there really was an increase in the number of sensors that you had to install. There was really a deeper analysis of the data, that was really relatively an unknown, and that led to a lot of false positives as well. So you got a balance of reacting to quickly and not seeing what you expected, and then, the integrity of the data was really there. It’s slowly changing as we start to integrate into prognostics. So let’s talk about CBM. In general, really good at doing short term failure predictions. So you can address things within days, or weeks, or maybe months, a couple of months. But again, you still have this problem that you couldn’t address the solution to reduce the risk. You couldn’t find a solution that would reduce the risk over the long term. It was still always pretty reactive when the condition actually changed. So if we look at how do we get back to what that pro forma was, really prognostics, this is PHM, prognostics and health management, really stands out as the way to do that. It’s a lot of benefits with our approach in the way we look at it, because it’s model based and we’re taking into account a lot less sensors and a lot less data. There’s little or no monitoring required. There’s a lot less sensors than what was there in the past. We get this remaining useful life type prediction, very similar to what’s coming out on the cars now when you go to change your oil. It’s actually monitoring the rest of the life of the oil, based off of usage. It allows for a lot of risk mitigations. So what you’re not able to do with real prognostics is predict really what is that future risk is going to be, which we didn’t know when we did the pro forma originally. But because of the way we get that answer, we’re able to change that, and see what can we do to reduce that risk dramatically. That is starting to lead to a lot of elimination of failures. We’ll talk about that a little bit more. It’s allowing the owner operators of these wind farms to really attack and take control of the cost that they didn’t plan for originally. If you are doing a prognostic approach, our DigitalClone Live System that we offer to our customers really gives them a lot of great feedback in terms of how you look at the data and what’s important. One of the ways to look at it is, a lot of these are broken into regions, fleets, and sites. Really, when you get down to site level, it’s really hard to understand what turbines are most at risk and why. So one of the ways prognostics helps is to identify what turbines do I need to focus on now, and what can I look at taking action on here on the short term and here on the long term.We can really identify, through prognostics and taking in the data over the industrial internet, the worst asset list, if you have several assets, and what that looks like. So really it’s able to focus attention down to what you need to get to. Then, knowing how much life is left, how much risk is left, be able to take action on that. It’s not just at the asset level, but more importantly, within each one of these assets, there’s lots of systems. So within a wind turbine, you’d have a gearbox. The gearbox has lots of components; gears and bearings. Within mining equipment, you would have different gear sets, very, very large gear sets. Within combined cycle plants, you’d have a couple different energy generation with gas turbines or the heat recovery system, and the generators attached to that system as well. In this case, when we look at a gearbox all the way down to the component level, a good prognostics system on the industrial internet would be predictive in terms of what components we really need to look at. If you’re going to be able to do that, where you’re able to do is then really differentiate much farther ahead into the future. You know, “How could I replace just this one component, and then refresh the life of the gearbox,” as opposed to, “Hey, that component is starting to fail and now it’s damaged its neighboring components. What can I do to take that reactions?” Knowing ahead of time allows us to make much smarter actions. In terms of mining, there’s $5 million gear sets. If those go down, the whole plant goes down for six months because that’s the lead time starting from scratch on some of those mining gear sets and other components of them. Because they’re so large and they’re one-off pieces. Being able to mitigate that risk, the same thing with these large combined cycle plants, they’re really designed so they can’t fail. You can’t have a failure of any kind, or it causes a very large stoppage and a large disruption because all your eggs are in one basket. So there’s a huge risk of unknown failures that you can avoid with prognostics, that you couldn’t do before with other types of solutions. What these new prognostics reports kind of look like today – if we go back to the graph real quickly that Ed had talked about – we’re predicting what is the “as-is” risk profile, and then what are the things you can do to optimize those conditions. That’s really important. So within wind, the couple things we look at is the “as-is” you’re coming up with, watch lists, identifying turbines that will have risk of failure and what that looks like, to focus maybe on sight borescopeing, taking a look at different things, and really planning your inventory, your supply chain and your budgeting around that. The other piece would be, “What is the replacement schedules for these? What does the forecast look like and how do you address that?” But then even further passed that, with prognostics you’re able to take a look at what can you do to make these things last longer. So component replacement is something we talked about, as well as lubrication and additives. How do you change the way you operate the machine from a controls perspective or a maintenance perspective, that will increase life? And really, we can go on and on about what these lists would look like, but you’re really doing these “what if” simulations before you do anything, identifying what the return on investment would look like. Because in general, your prognostics is really able to see what a diagnostic can’t. So you’re identifying things that you would not have known about before and you’re able to take actions to those. If you take prognostics and you look at asset prognostics on the industrial internet, using the “predict, acquire, confirm, and control” architecture that we work with on the industrial internet, your first step with the prediction in the example of wind turbines, you’re predicting what is the risk of that individual gearbox, and the components underneath it. So you make that initial prediction. And you then, because you’re connected to that industrial equipment, you’re taking that data. You’re acquiring that data, and that may be over this SCADA system, it may be a CBM system with vibration data, or oil to breeze sensor data. You’re taking that from the individual wind turbine. Then what we’re able to do is confirm that data against what our prediction was. So we made a prediction, we expected it to operate a certain way, but things may have happened differently than what we expect to. It’s different. We would do a re-prediction and go through the cycle again to make sure that we’re still online. More often than not, we’re going around and then looking at the control. What we can then do, so we can do that through rerating our tower replacement or some of the things that we talked about on the last slide. One example of doing that, again, over the industrial internet is if you’re connected to live data and you have an automated system, you can then go into whatever that system may be. Here’s an example of ours, where we’re doing a trade off study to optimize return on investment based off of a rerating of a machine. Really taking a look at, “here’s what we expect, from a perspective it to do and operate at,” and then what is that maximum ROI look like versus maybe some of the more manual ways of taking a look at it. You could do trade offs for up tower replacements, replacement schedules, anything that’s on that list. You’d be able to do a trade off because we have real operational data. We can predict in the future what it’s going to do, the “as-is.” And then, what the impact of your decision would be, really to optimize around the ROI to increase your financial impact. One way that we can take a look at this, if we look across a fleet of a 1.5 megawatt wind turbines, you have very unknown risks into the future, what used to be unknown without prognostics, what really you can see the red line. With one of our customers, we did an example. You’ll get these peak numbers really focused on bringing those numbers down. So what can we do through those trade-offs to bring those down? This is a look that really couldn’t see before on your individual fleet or your individual assets. We have a lot of these examples that we have with our customers. We’d be glad to run through those with you guys. I’ll leave them up here and go through one as an example. With one customer, we were able to reduce the failure rate by 50%. What’s really important about that is that we budgeted for much more and threw up tower replacement, derating other actions, really able to drive those numbers down lower. And the impact, financial impact, is about $5 million for this customer. We have lots of other customer examples that you’ll see here and can reference on the slides that we’ll make available. So I want to head back over to Ed, to wrap us up. Ed: Stephen, you’re awesome. Thank you. For those of you who know Stephen Steen, he was directly responsible for Sentient getting over 5,100 wind turbines under contract out last year. Basically in one year, we got about 13% of the market. So if you don’t know Stephen, you should know him and please don’t try to hire him. All right. Just to summarize, if we look at what’s going on with the smart grid right now, now that we have prognostics to be able to be specific about what units are going to fail, what components are going to fail, and we can provide that kind of insight and reporting. That information can then begin to power the inventory and supply chain systems, because with that information to those systems, you end up over-buying inventory and putting it in the wrong place. So now we can do a lot better job using prognostics to supply those systems with the information that they need. Those systems then power the fleet process optimization systems, so we can not just look at the individual assets or the sites, we can look across these larger fleets. Sentient is currently involved with the fleet that’s 12,000 wind turbines, it’s extraordinary. That eventually powers the OEMs, and motivates the OEMs to make improvements in their machines, which we’re starting to see as well. Taken together, you get a smart grid that’s optimized. So just to finish up, sorry to be so long. What we’re doing at Sentient with DigitalClone right now, is we’re really powering the move to predictive health management in PHM, using the industrial internet. I would say that we are powering the ability of these smart grids to be much more efficient and effective. We’ve got a lot of experience in DOD, a lot of experience in the industrial sector. We’ve got the energy use cases right now. We’re willing to do the demonstrations on request, just reach out to us. Second is the Industrial Internet Consortium. I really think it’s become a central organization for pooling the various technologies, the security information that you need to know, the architectures, the testbeds for learning and leveraging best practices. This is the URL here, to reach out to them. As Lynne said, there’s a meeting coming up in Reston, outside of DC, in the next couple of weeks. Then we’re up around GE, and then back to Barcelona, Spain and La Joya [SP]. These are not bad places to visit. I think we’re lucky that they picked such nice places to go, versus Boston in the winter. So just in summary, we’re very excited about our relationship with the ISC. This is powering Sentient, really extraordinary growth right now in O14 and O15. So again, thank you. I’m going to turn it back to Natalie to finish up, and I just want to say thank you again for your listening to our spiel. Natalie: Great. Thank you, Ed, and thank you for taking us through that. Lynne, thank you so much for joining us. It was a pleasure working with you again for this webinar. As always, I have a ton of questions. Again, we don’t have much time left, and I do want to be concerned about everybody’s time. So please email me, my email is on the screen there, if you have further questions and I’ll follow up with the ones that I’ve already received. So for the first question, Lynne, this goes to pretty simple, but “How do I get information about joining the IIC?” You’d be excited and always looking for new members, so I want to be able to push them in the right direction there. Lynne: Oh, absolutely, and thank you for that question. It’s easy, just go to our website which is, www.iiconsortium.org, and you can search there for members. You could see “become a member,” so that would be where you would do it. It’s an online application; iiconsortium.org. Natalie: Great. Thank you, Lynne. I’m excited to see how the member base goes after this. So I have a question for Ed. What is the difference between doing maintenance on a wind turbine using the industrial internet versus the traditional way that has been done in the past? Ed: A lot of people, I think. So in the past, certainly you need people, literally out of those assets. We all know that those people drive past those assets and they hear something going wrong. This is how this maintenance procedure starts. You have a lot of people involved in your regional sites. The industrial internet allows us to gather the information and centralize it. We’re now seeing these boardrooms in the energy companies, they’re extraordinary, 10, 15 people managing global assets. I would just say that not just the efficiencies of running the machines more effectively, but also the equation on human resources has changed really dramatically with the industrial internet. Back to you. Natalie: Thanks, Ed. So this one is for Stephen Steen. What sort of business model innovations would be needed to incorporate industrial internet for predictive maintenance? Stephen: Yeah, I think there’s a lot of great changes happening with different organizations to work more with a prognostic approach. When we take a look at that, one of the hardware and detailed pieces is obviously you have a way of getting that data from the machines back to some central location or on-board on that machine. The process in the business architecture in place to do that. What’s nice about prognostics is you can do that with the list, the cost of getting that in place would be similar with CBM and big data, except for the fact that you have less of that. You use less data, use less sensors. So anyone moving in that direction would actually have an easier time or less of a negative business impact moving to prognostics over the industrial internet. Natalie: Thanks, Stephen. I have one more for Lynne and I apologize if this was already answered before but what advise do you have for organizations that want to adopt the industrial internet, and where should we begin? Lynne: That’s a great question. So based on the work that we’ve done with our members and with their customers, I think that the advice that I would give is to focus on one thing and start small. So take a look at what your organization is, and where are those major pain points. And also, take a look around, see who’s doing what, see what those best practices are. There are emerging best practices, but definitely take some time to talk to experts such as Sentient Science, in terms of what they are seeing with their customers. But really, don’t try to boil the ocean all at once. You really want to focus and lean in on one area, and do something and see how that goes. Natalie: Thanks, Lynne. It looks like we’re just about coming to two here, so I’m going to have time for one more question. Sentient has shown a lot of applications and examples for the wind industry. I touched upon this a little bit in the beginning application slide, but what other markets are we serving? Can you guys expand on that? Ed: Well, sure. Sentient’s simulator is our horizontal simulator. We can use it for a variety of rotating equipment. It happens to be that there was a lot of pull in the energy space, that pulled us into that market. So we attacked gearboxes in the energy space and specifically – as we talked about today – high demand in the wind gearbox space. But our plan as a company, as you could imagine, is to penetrate and help our customers that we have. Many of our customers have a number assets, not just wind. So we are growing our company to be able to service the other assets of our customers, whether it be fossil fuels, or gas turbine, or steam turbine, or mining, in these industries where our core technology is really applicable. But I just want to point out that we didn’t come from the energy space. We actually come from the DOD space and the industrial space. What we learned in building helicopters, we have applied to commercial applications, really which has been the secret of our success. We actually took on some really difficult problems for DOD, and was able to leverage that into the commercial markets. So we’re lucky. It’s been an excellent example of government sponsorship of new development in technology and we commercialized it. Our thin, deep wedge today is to talk to energy companies in the wind space and then we’ll be able to address their other assets in this next year. Natalie: Great. Thanks, Ed. Again, I do have two more questions. I’m just going to reach out to those of you individually who have asked those. I just want to thank everybody on the line for joining. It looks like we have a lot of new people who joined today, as well as repeat people from the audience. So thank you. And again, Lynne, thanks for joining us. I want to welcome everybody back to our next presentation, which will be on April 22. We always host them at 1:00 Eastern, and we’ll be talking about our advance sponsor programs that we’ve done with the government work that I was just talking about. So really a roundup of all the validations that we’ve done in the different government programs that we’ve done. So we’re inviting all tea packs and everybody else on the line. We’d like to see you there as well. Have a great day, guys. Thank you.